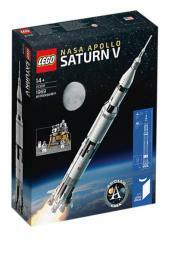 Friday 26 Apr - Latest - Lego (£109.99) and John Lewis (£109.99) currently have stock of LEGO NASA Apollo Saturn V.
We are constantly tracking for stock to ensure you will be the first to know when availability is found. We constantly check for LEGO NASA Apollo Saturn V stock, so you don't have to. Receive email alerts when LEGO NASA Apollo Saturn V online stock is found.